Self Help Web Directories And Other Useful Links! On this self help web directory page you’ll find links to human edited directories that I've used for researching resources. I've also included website urls to other very useful spiritual, metaphysical, self help and self-empowering website resources that I've used often or even daily at certain times of my life. The benefit of using directories that use human editors is that the websites listed are of a higher quality and usually contain information that’s pertinent to what the end user is looking for. Further, these kinds of web directories contain categories that are easy to use and thus are actually useful for the end user. In addition to the web directory listings, I've included websites from people who focus upon and teach spiritual, metaphysical, self help and self-empowering knowledge. These websites are either from human or channeled sources. If you feel inspired to do so click the signup links and receive truly inspiring messages. I've also included links to some of the writing I've contributed on other websites. Below I indicate the human edited web directories I use. Click on the text link to open that directory in a new window. This web directory page only contains links to web directories that I’ve used for my research and have found to be useful. As I discover more of these kinds of directories I’ll add more links to this page. Inspirational self help web quote on releasing judgment upon yourself. Here are some other website sources I use. click the graphical links to open the website on a new page. I believe that it’s always best to consider what other people are saying about the important subjects of life, rather than soley relying upon one source of information. So by all means, please seek out other people’s ideas on similar subjects to those found on this inspired self help shortcuts website. These sources of information have helped me to reach a higher level of awareness, so I offer them here as a sign of appreciation and respect to those beings who brought that knowledge to me. I still use some of these sources today! Because understanding the true nature of existence is my primary passion, over the years I've contributed a fair amount of articles and writing to websites and online groups with the aim of sharing knowledge. To discover some of the articles and writing I've contributed outside of this website, click the graphical links below. While there are hundreds, if not thousands, of web directories on the internet many of them seem to be disorganized and so lack any useful categories. This makes it difficult, if not impossible, to actually find the kind of information or website you’re looking for. 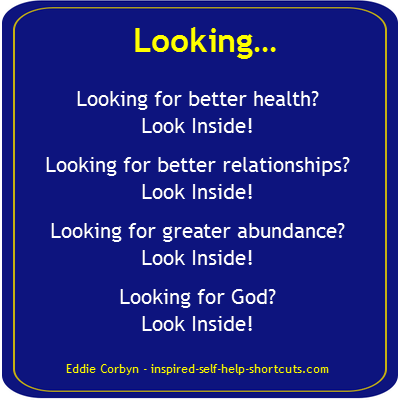 If you’re looking for other self help, spiritual or self-empowerment websites, please be assured that you can rely on the self help web directory listings on this page to point you in the right direction to finding the sources that offer the information you need.